Register Log In Moparts Forums Moparts Question and Answer Replace dash amp meter with a volt meter? Redline Gauge Works does that. Redline guage works converts amp to voltmeter. You can call them and see if they can do that with your existing ampmeter. There is another company that does it, but can't remember. I sent mine off to Auto Instruments Specialty and they converted my oem gauge. The amp gauge has been an issue in many of the old mopes.The wire to the gauge comes in through the bulkhead connector then through the ignition switch and then to the gauge.I would bypass a few feet of wire and go right to the volt gauge from the bulkhead. sun makes small volt meter gauges. some people have gutted those and installed them into the dash instead of spending the money for conversion. even replacing the face with the amp meter face and a decal for voltage. If you're into a 5" tach, another option may be one of those Summit combo gauges with volts, temp, oil pressure inside the tach sweep. Want to test it? Leave your keys in your pocket. My 63 and a buds 70 RR when the amp gauge went,,,the route of that wire whatever the color was as I stated.I'm no expert,but I did drive by the Holiday inn express. I'm going to install 4 plastic, 6 wire blocks on the inner fender, the blocks have screw connectors so things will always be tight, the new wires will pass through the old bulkhead connector after I remove the wires and drill the pieces so I can pass the wires through it. I'm also tossing the fuse block and putting a new six place fuse holder that takes the newer flat fuses, the wires here will be secured with screws. 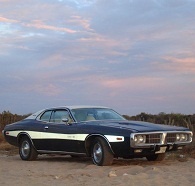 I'll use lots of new wiring and get rid of trouble areas that Mopars are known for. I've owned Mopar cars since I bought a new Sport Fury in 1966, I have a 62 Fury, a 64 Belvedere 426S 4speed, this 66 Sport Fury convertible factory 440 4speed and a 68 Coronet R/T 440 4speed...Go Mopar! 3rd gen charger based, but same basics on all. Ignition switch is spliced into the circuit between amm and alt. I think I found the perfect volt meter, The 1994 Jeep volt meter I happen to have looks the same shape and I think it will go in the dash without much modification. Tomorrow will tell. please post pics of the jeep item. Except when the ammeter shorts to the instrument cluster and the other nonsense that happens with a 40yo car. Stupid charge path for the alternator and has been since the cars where rolled off the assembly line. Sorry, didn't understand what you said, but if is what I think, the "problem" with the ammeters is more than the ammeter itself. Is the lack of power from stock alts. To deny that the ammeters have NEVER caused a problem in any vehicle is folly. Carry on. No, I'm not going to debate about where the issue lies.